For destruction, regardless of manufacturer or model, a bump stock must be made incapable of being readily restored to its intended function by, e.g., crushing, melting or shredding the bump stock. Bump stocks may also be destroyed by cutting, so long as the bump stock is completely severed in the areas constituting critical design features, denoted by the red lines in the specific model of bump stock destruction diagrams that follow. 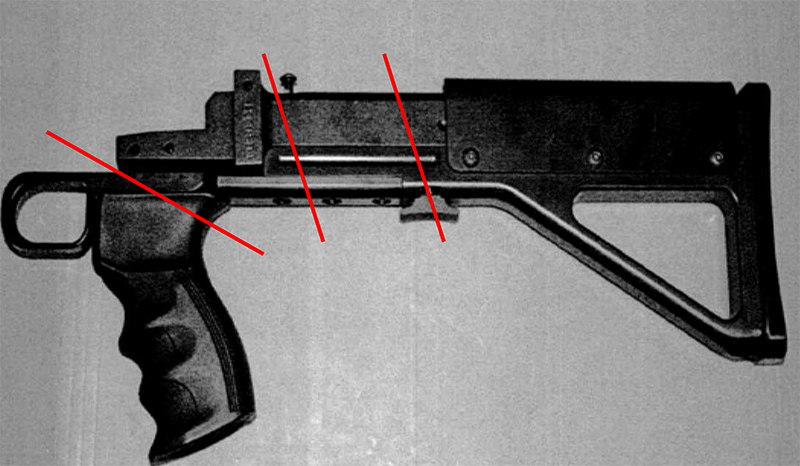 The bump stock must be completely severed in each area indicated by the red line. Destroying a bump stock using any other method may be legally insufficient, such that continued possession of the device may violate 18 U.S.C. 922(o).